Oh heck. Only after buying this CD, and before listening to it, did I realize that I had it already; only I had put it, some time ago, in the “to go” bin and completely forgotten about it. I guess that gave me the chance to double-check. 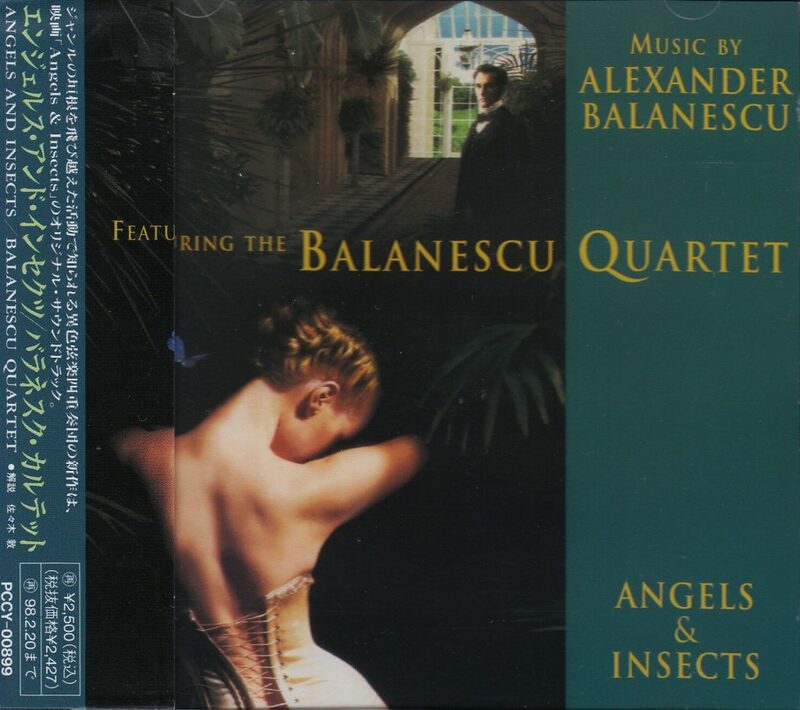 I’ve enjoyed the recordings of the Balanescu Quartet, not only of other composers (among which recordings my favorite is the String Quartets of Kevin Volans on Argo 440 687-2, from 1994) but also of Alexander Balanescu’s own “cross-over” compositions, especially the two first they did, both on Mute Records, Possessed and Luminitza. So I decided to complete my collection – forgetting that I already had! Well, I’ve double-checked, and sorry, but now I have two tangoing in the “to go” bin. 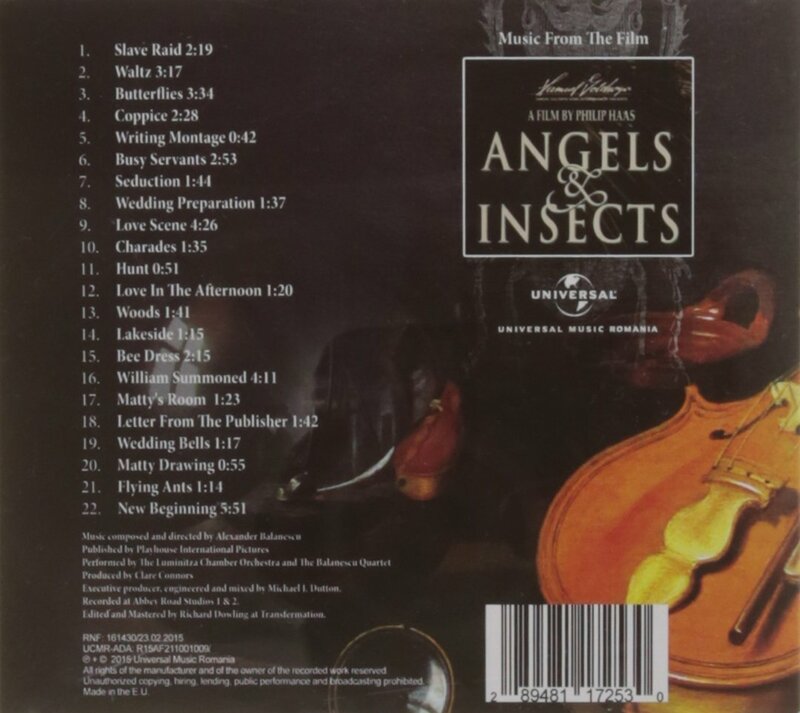 Sure, you have Balanescu’s typical cross-over and easy-listening melodic invention, but the problem with this disc, for me, is that, having been composed to be the soundtrack of Philip Haas’ 1995 movie “Angels & Insects” (link will open new tab to Wikipedia), the mood is predominantly and uniformly plangent to saccharine to lachrymose. Each track is short but you have 22 of those. I’m not against the plangent to saccharine to lachrymose, but it needs to be contrasted with other moods. Here the point of satiation is rapidly reached – like after a track or two. 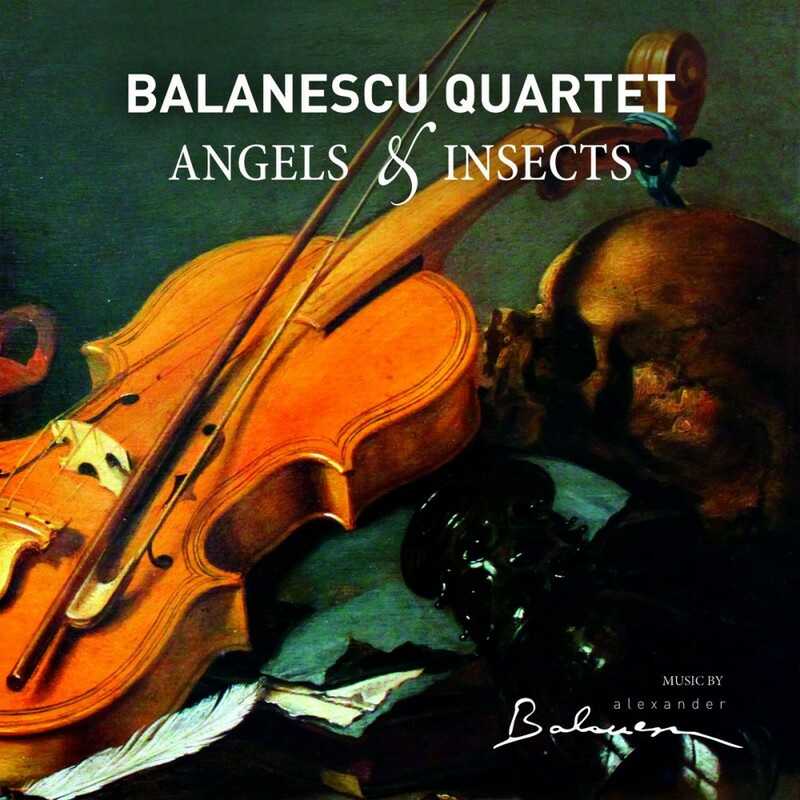 It is played, by the way, not only by the Balanescu Quartet but by the so-called Luminitza Chamber Orchestra. Maybe it would have been less saccharine if they had stuck to the leaner textures of the string quartet. In the liner notes (or rather, the short blurb that serves as such), Balanescu says: “how easy it is to write music for film“. Well – he might have worked a little harder. He does conclude by saying “how difficult it is to write music for film“. Maybe that’s why he composed only 49 minutes of it – thank God! No, just kidding. Really, the disc might have an appeal to those grown on pop rather than contemporary classical music. And at least I didn’t pay a lot for my second copy.